The 55th Annual 4th of July Parade begins at 1:00 p.m. at Micheltorena Street, proceeding down State Street to Old Town Santa Barbara, concluding at Cota Street. Over 175 local organizations and agencies will parade to a patriotic theme for the community to enjoy. Call (805) 259-4394 for more information. 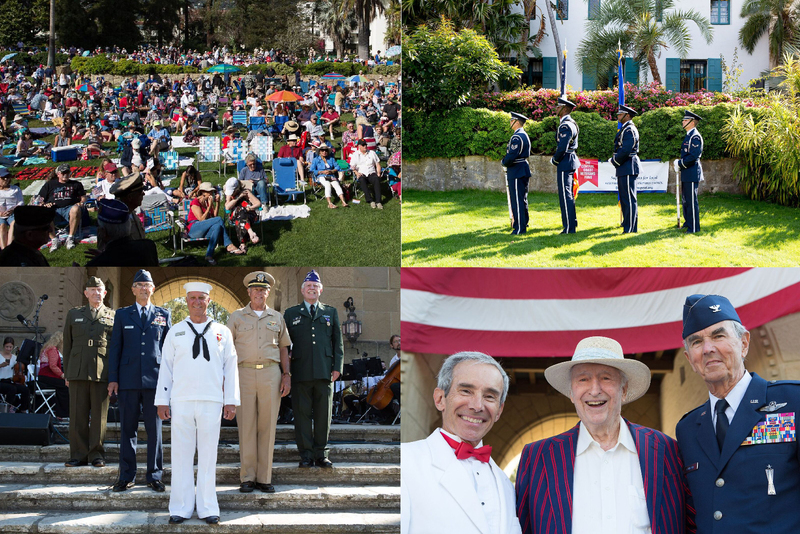 2018 Concert at the Santa Barbara Courthouse Sunken Gardens on Wednesday, July 4, 2018! The Crown City Brass Quintet performs songs of America with Music by John Philip Sousa, Scott Joplin, Leonard Bernstein and more. Bring your beach chairs and blankets for this Santa Barbara tradition brought to you by the Pierre Claeyssens Veterans Foundation.